August Wells - Come On In Out Of That Night. Background Info - 'Come On In Out Of That Night' is the new single by August Wells and was released on September 4th on FIFA ('Forever In Financial Arrears') records. A musical project formed in New York by Dublin native Ken Griffin (Rollerskate Skinny, Kid Silver and Favourite Sons) and New York pianist John Rauchenberger, August Wells teamed up with the Cork based independent label earlier this year for the release of the sumptuous 'Here In the Wild' single and that partnership continues for what is the perfect follow up. Friday Five: Liphemra - Peru - Little Death - The Noted - Apothek. Liphemra - 'did u cry'. Background - Los Angeles based Liphemra (comprised of Liv Marsico, Trey Findley, Miles Gray, Chris Parise) have just dropped their first official release 'did u cry'. Both dark and hypnotising in it's repetition, the track manifest an aesthetic unrivalled by any other project coming out of LA right now. 'did u cry' teases an up-coming EP by the same name which is set for an early March release via LA-based label Future Gods. A wonderfully powerful background sound, gives way to Liv Marsiso's emotionally charged vocals, that dance above the ever changing soundtrack. A real alternative that works so well. Peru(the band) - I Need You. 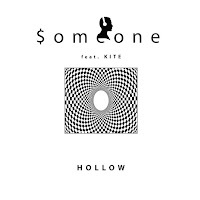 $omeone feat Kite - Hollow. Those background words - When the music producer, $omeone, recently signed on Gotta Records, meets the sensitivity of the genius vocalist named Kite. Kite is an award-winning Liverpool-based, Cumbrian-born songstress. Her debut EP ‘The Bed of The Brook’ was released in 2011 and led her on to play festivals such as Radio 1’s Big Weekend, Kendal Calling, Solfest and Ireby as well as gaining her a spot to play across the pond at Dewey Beach Music Conference in Delaware. Her ﬁrst single ‘The Water’ was self-released in 2013 and has had extensive radio play including BBC Cumbria, BBC Merseyside and BBC Radio 2 as well as having been playlisted by BBC 6 Music’s Tom Robinson. Since her trip to the US in 2012 Kite has been working closely with Brooklyn-based collective Mason Jar Music (Feist, Wood Brothers, Josh Garrels, Alicia Keys). Before the Flood - I Can't Wait For You. Background words - Before the Flood's 2nd LP (Hole in the Sky - 2015) is heavy on vocal harmonies, layered strings and deep percussion and bass. 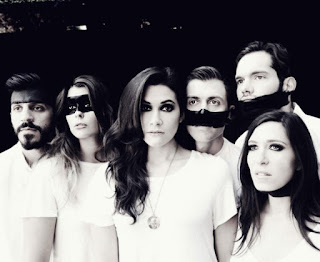 Electronic elements and synths add to the rich, and at other times ethereal soundscapes BTF creates through a long-awaited and eclectic 14 song journey. BTF's style and performances are constantly evolving but they continue to draw comparisons to Wilco, The Shins, The Weakerthans & Skydiggers. Before the Flood formed in 2005, and the line-up has fluidly performed with between 4 and 7 members. 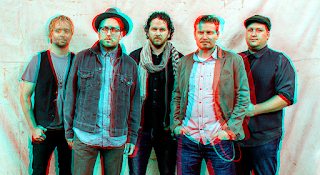 The backbone of the band has been strong, diverse song writing and rich, textured arrangements. Bars Wire and Wood (2008) had two singles (the title track & The Halls) that charted on college radio across Canada. 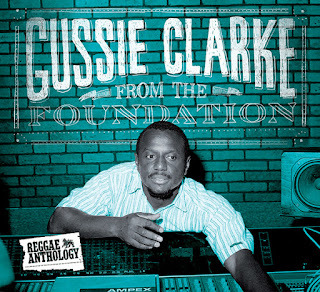 Various Artists - Gussie Clarke - From The Foundation (Reggae Anthology). Press Release - VP Records' vintage imprint 17 North Parade opens its vaults to present a new reggae anthology from one of the most influential Jamaican producers and businessmen Gussie Clarke. On Oct 9th, 2015, 17 North Parade will release a comprehensive double-disc compilation From The Foundation, spanning Gussie Clarke's catalogue of hit productions from the 1970s until today, accompanied with a DVD that takes an in-depth look of the man behind the controls. All the music is re-mastered and coupled with deluxe packaging and extensive liner notes. In addition, a vinyl companion piece (carrying the same name) will be available the following week (Oct 16) that features exclusive tracks not available on the CD and digital version. 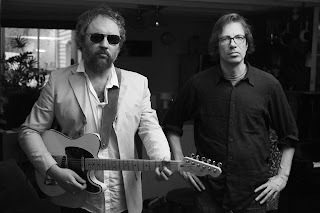 Promo words - Parlour Tricks released a new Double A side single yesterday (5th October) – the two tracks ‘Lovesongs’ and ‘Requiem’ will be out on cool New York label Bar/ None Records. 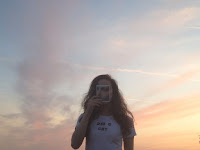 Catchy and charming ‘Lovesongs’ is an electro synth pop earworm - think dreamy Goldfrapp, complimenting ‘Requiem’ a beat heavy, rhythmic track that is layered with the mystical and airy vocals of Lily Cato. Tom Swoon Vs Ale Q & Sonny Noto - Alive. Promo words - Released through Ultra Music on September 25th is ‘Alive’, the collaborative single from Tom Swoon, Ale Q & Sonny Noto. Producers/DJs Ale Q and Sonny Noto have gone head to head with Polish artist Swoon for this track, and the results are nothing short of epic. A stirring piece of progressive house, the tune almost bubbles into action at the start before effortless vocals soak over the top of the bass line, and complementary piano twinkles add a further expressive edge. As the electro-edged beat really starts to take hold, there is another soulful intermission - before the power and intensity reaches a dance floor ready climax. Actually the promo words are pretty much spot on. Progressive House fans will love this energised and driving song, the vocals if anything help calm the whole thing down, so we can pause for breath.